Today Facebook is the most common advertising platform with more than millions of advertisers advertising their products and services so as to boost their ROI and get sufficient relevant leads for their businesses. But if you don't work strategically for the campaign it will end up being a disaster where you'll only end up burning money. So if you want proper business from Facebook Adverts then you have a plan each and everything accordingly. So here are some blunder mistakes done by advertisers on Facebook. Boost Post Option Is The King: Boost post is the easiest option to do advertising where you just have to press the boost post button to just to show your ad. If you are doing this regularly by ignoring ads manager then is the big mistake you are committing. 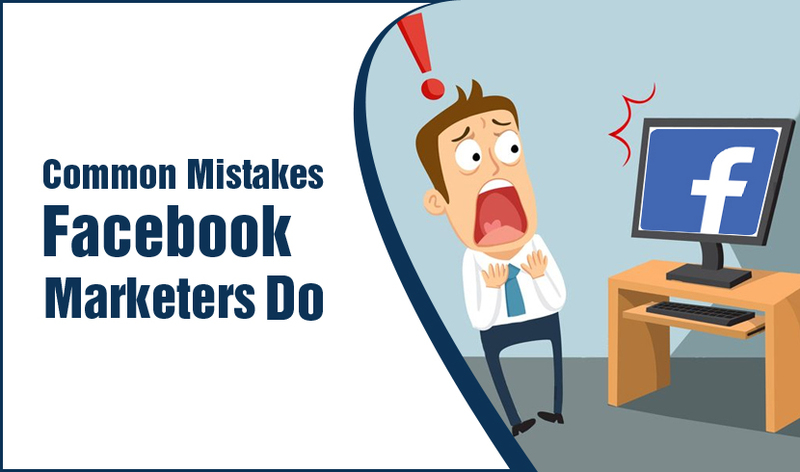 Not Knowing The Right Campaign Objective: This also the most common and silly mistake people make while creating a Facebook ad Campaign that they select the wrong goal which hampers the performance of the campaign. It's a fact that incorrect campaign objective can land you make real goal achievements difficult. One Ad Is Enough: As we target our ads to millions for users if you think that one creative is enough for the campaign then probably you are living in a fool's paradise because it's very much known that people want different creatives each and every time. Redirecting Audience To Their Homepage: If you are redirecting your audience to your homepage where people can see anything they want then you are hampering your conversion rate which is only increasing your costing. So its better to keep relevant pages related to the creatives and ads. Campaign Will Work If You Have Good Amount Of Page Likes: If you think that if your page has good likes then your campaign will be successful then it's a wrong conception. You have to optimize the ads frequently for better performance. Not tracking the audience behavior: If you are are not using the pixel to track audience behavior it's the wrongest step you are taking because you won't get the idea of how many customers are converting. Poor Image Quality: If you are posting a low-quality image with a poor resolution then your reach and engagements definitely suffer as good image plays a key role in attracting more engagements. Unplanned Content Strategy: If your Facebook Advertising Strategy is unplanned then you may lose the audience connection. If your content fails to impress the audience then you might not get good results. Wrong Posting-Frequency: 1-2 posts a day is ideal but if you post 4-5 times a day it may lead to confusion among the audience which may hamper your brand image.